William Arnold Wuitchik February 22, 1960 – November 18, 2018 It is with heavy hearts that we announce the sudden passing of Bill Wuitchik, age 58. 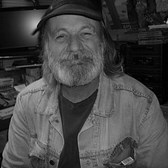 Bill was born in Vancouver and moved to Powell River in 1978. He worked for the mill for 38 years and looked forward to retirement. He was an honest, hardworking, dependable, kindhearted man who was devoted to his family. Bill is survived by brother Darrell (Elaine), sisters Shirley (Guy Gentner) and Shelly Wuitchik Stephens, daughters Valentine (Jess Mattey), Shyanne and Jasmine, son Matthew, three grandsons, two granddaughters, two nieces and three nephews. He touched the hearts of many and will be sadly missed. A celebration of life is to be held from 2 to 4 pm on Saturday, December 8, at Cranberry Community Hall, 6828 Cranberry Street. In lieu of flowers, please donate to the Heart and Stroke Foundation of Canada. Life is not about waiting for the storms to pass: it’s about learning how to ride in the rain!